The Customize button is not shown or it is not shown at a the desired position. You can change the position of the "customize" button with ease. You can find more information here. When I open the app in the store I see: "Uppps... The product is not active or the product used..."
"Uppps... The product is not active or the product used as template has been removed. Check the settings in the backend."" This message is shown when the template that you are trying to open is not active. 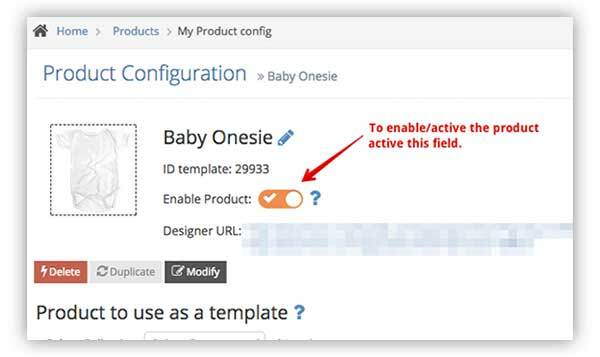 You only have to go to the backend, open the template and active the template. If you have any doubt, visit this link to see how to link/unlink a product to a template or contact us. The app creates a new product in the store. How can avoid this from happening? In this way, all the products created by your customers are automatically stored in a not visible collection, they will not interfere with the pagination of your collections and you will be able to locate them with ease in the backend and delete them when you need it. The images uploaded by my customers need a minimum quality. How can I set this? The color variations do not change when a different color is selected. This is because each color variation must use a different Hexadecimal color. If the hex color is the same, the app can not change the color variation. A customization order does not appear in the list. Notice that all the orders are deleted every three months and the information of those orders can not be recovered. The quality of the downloaded design is not good for me. How can I solve this? Notice that you can increase the resolution of an image by scaling it up. I mean, You can use the scaling tool to increase the DPI of an image. For instance, imagine that you need a 800x700 in 150dpi. If you download the 1X image (800x700px) you will get a 72dpi image but if you scale it to 2X (1800x1400px) in 72dpi and reduce it to 800x700px, you will get a 800x700px image with 144dpi. You can scale the image up to 10X or even larger. Notice that the maximun resolution that you can get is the maximum resolution of the images uploaded by your customers. It is not technically possible to increase the quailty of an image if the image is not good. How can I download the image of the design with an exact size in pixels? How can I increase the loading time of the tool? to increase the speed, we recommend you to use as smaller number of fonts as possible. Each font has a size of 250-500kb and they takes a long time to load. How the image size alert works? 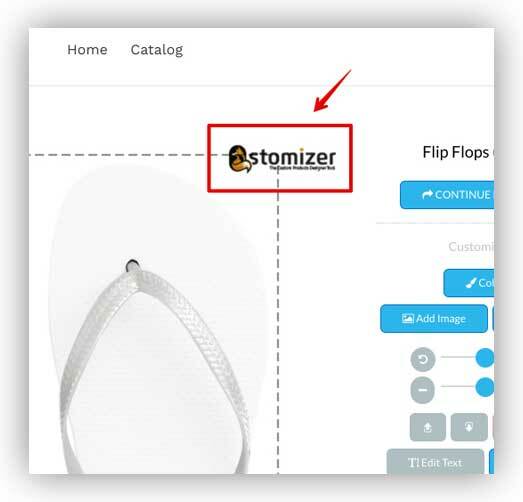 How to remove the Qstomizer logo from the tool.